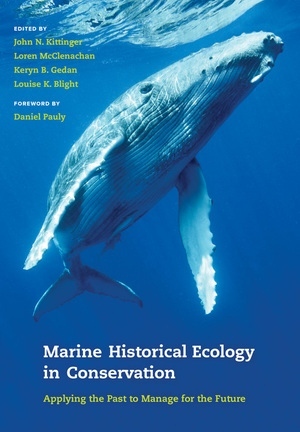 This pioneering volume provides a blueprint for managing the challenges of ocean conservation using marine historical ecology—an interdisciplinary area of study that is helping society to gain a more in-depth understanding of past human-environmental interactions in coastal and marine ecosystems and of the ecological and social outcomes associated with these interactions. Developed by groundbreaking practitioners in the field, Marine Historical Ecology in Conservation highlights the innovative ways that historical ecology can be applied to improve conservation and management efforts in the oceans. The book focuses on four key challenges that confront marine conservation: (1) recovering endangered species, (2) conserving fisheries, (3) restoring ecosystems, and (4) engaging the public. Chapters emphasize real-world conservation scenarios appropriate for students, faculty, researchers, and practitioners in marine science, conservation biology, natural resource management, paleoecology, and marine and coastal archaeology. By focusing on success stories and applied solutions, this volume delivers the required up-to-date science and tools needed for restoration and protection of ocean and coastal ecosystems. Gardens of the Queen, a Bygone Era for Coral Reefs, or a Future that Benefits from Bygone Eras? John (Jack) N. Kittinger, PhD, is Director of Conservation International's Hawaii program and was previously a Social Science Fellow with the Center for Ocean Solutions at Stanford University. Loren McClenachan, PhD, is the Elizabeth and Lee Ainslie Assistant Professor of Environmental Studies at Colby College. Keryn B. Gedan, PhD, is Lecturer in the Sustainable Development and Conservation Biology Graduate Program at the University of Maryland. Louise K. Blight, PhD, is a marine science specialist at World Wildlife Fund in Vancouver, BC, Canada, and the owner of Procellaria Research and Consulting. "This well- edited text is a very good introduction to the value of historical information to research and planning."